Convincing management of the need for a social media strategy and its implementation can be hard enough as it is, but when that strategy also needs the direct support of the employees through their accounts it can be even harder to implement. Employees’ social media accounts – for a number of personal and even possibly legal reasons – can be difficult to gain access to or even to give input on. Employees’might work from 9-5 and sometimes much longer hours but their social media accounts represent them 24 hours a day. Recently I dealt with this issue while attempting to revamp my company’s LinkedIn presence; these are four ways in which we, as Social Media Managers, can create a sense that a campaign is more than just about the company’s brand,but that it’s also about your employee’s personal brand too. Regardless of the size of the company, initiatives that cross departmental borders and affect multiple ranks of a company fail every day. This is for various reasons, but one reason is avoidable – a lack of commitment from the executives. Once you have the blessing of the company’s management to spearhead a social media campaign with an all-encompassing approach that includes the employees’ social media profiles as well. You’ll need to start with the executives and management first. This would act as the proof of the commitment of the executive team, that they’re leading the way, and of their faith in you. An additional benefit of making it about the employees is that you are also getting the executives to work with you and you will have a better opportunity to adapt their profiles without stepping on their toes in the process. The executives of a company are the investor,- partner-, and sometimes customer-facing side of the company. Having them with a blank LinkedIn profile or worse, not having one, is not only a terrible example for your employees but also a strategic mistake. One idea out of the handbook on effective managing is to ask for input and ideas when seeking to create maximum buy-in. To translate that idea and use it in this case one could ask employees and managers affected, their feelings on social media and how the company could use it. Doing this personally would be a little excessive and poor use of your time, instead I like to take a few minutes and use Survey Gizmo or Survey Monkey to create a short ten question survey and distribute it. If you have a low percentage of completions you could consider making the survey departmental identifiable to see how many in each department have completed the survey. 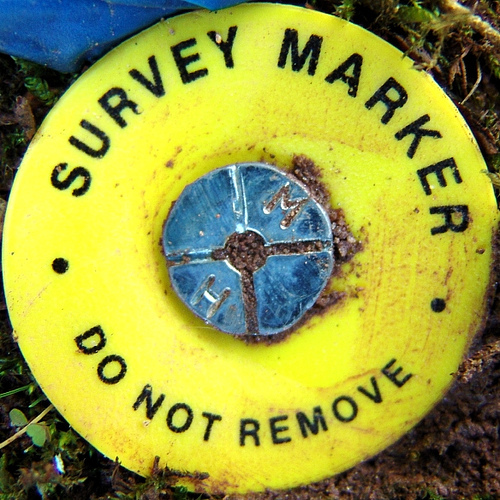 Attempt to keep the survey honest by keeping it basic and unidentifiable. Use demographics, such as years with the company, employment level (Entry level, Senior, Manager, Director, Executive), and an age range (I prefer choices of 5-6 years). That will cover your first three questions your next seven questions should be framed using Likert Scale questions as opposed to simple yes or no questions. This will help determine the degree an employee agrees or disagrees with the question rather than if they simply agree or disagree. Using a Likert Scale also helps you in creating a comparative survey at a later date. Do you feel that our company could benefit from a social media strategy? To date has our company done a good job representing our brand on social media? Do you feel that you have a good understanding of social media sites? Do you feel that our customers are accessible through social media? Would you like to receive information on a Social Media’s sites best practices? After you and your management have decided on a social media strategy and which sites to focus on you have undoubtedly done a fair amount of research into the site, its offerings, and how make the most of the site. Through training sessions, whether in-depth or not you can cover many of the important points with your employees and coworkers. This training is a time where you can send a clear message that this social media strategy is about not just the company’s brand, but also about the employee’s personal brand as well. That you’re putting the time and effort into them so that they look the best that they possibly can to whomever might come across them on the internet. Making this information available to your staff through Training Sessions is a great way to distribute the information in one voice. Best Practice Guides will add to that by giving them access to the same information again, but where they can digest it at their own speed. Tags: Best Practices, Branding, facebook, google+, linkedin, marketing, Opinion, Policy & Guidelines, Social Media, Social Networks, twitter | Permalink. So finding a survey that takes a closer look into the role of social media in communicating with business buyers in a B2B (Business to Business) marketing environment and its role in their buying processes provides some food for thought. This sort of information is valuable in determining how companies that sell technology products and services will engage, communicate and market to businesses. Forrester’s determination from this survey, is that technology buying is a highly considered, collaborative process, one ideally suited for social interactions, so use of social media in this environment is important. These are the 15 social media channels in order of importance as indicated by the survey. This survey highlights the importance of figuring out which channels and sources buyers prefer when they look for information or want to validate a purchase decision. Online ads catch the business buyer’s eye. This finding underlines the importance of integrating both traditional and online media into social media plans to not only reach potential buyers but to also guide them back to online destinations and offers placed in more conventional media. B2B marketers should be identifying key buyer segments (or personas) and research how customers accomplish their purchase decision-making and business buying goals, keeping in mind which social media channels the different vertical markets and persona’s prefer to hang out in. So how are you using social media to communicate, engage and market to B2B buyers? Tags: 217 technology decision makers including CEO’s in the United States, and Germany from SMB (Small and Medium Business)and enterprise companies with more than 100 employees and asked them “During the next 12 months which of the following emerging information sources wi, Audio & Video) 19% Blogs 18% Online Advertising 17% Widgets (such as iGoogle) 9% Online Video 9% Mashups such as Zillow, Blogs, Canada, collaborative process, communicate and market to businesses. Forrester’s determination from this survey, Delicious etc) 29% Wikis 25% Private Online Community Sites 23% Open Social Networks eg LinkedIn and Facebook 22% Interactive or 3D Demonstrations 22% Podcasts (Downloadable Media, engage and market to B2B buyers? Read more at http://www.jeffbullas.com/2010/05/20/top-15-social-media-channels-important-for-b2b-marketing-survey/#jDZ0eT7Wm2CijIOy.99 blogs, facebook, Facts and Figures, France, Google Maps etc 8% MicroBlogs such as Twitter 5% Virtual Worlds such as Second Life 5% This survey highlights the importance of figuring out which channels and sources buyers prefer when they look for, is that technology buying is a highly considered, keeping in mind which social media channels the different vertical markets and persona’s prefer to hang out in. So how are you using social media to communicate, linkedin, Multi Channel Social Media, one ideally suited for social interactions, Online Video, so use of social media in this environment is important. Forrester surveyed 1, Social Media, Social Media Marketing, Social Media Marketing is often thought of as being mainly suited for B2C (Business To Consumer) Marketing So finding a survey that takes a closer look into the role of social media in communicating w, Survey, the United Kingdom, twitter | Permalink. Millions of people are broadcasting messages about themselves all around the internet without even realizing it. Facebook, Twitter, LinkedIn and dozens of other sites are mining details about your personal life. What you buy, what you watch, where you shop, and sometimes the things you posted on Facebook at Twitter. At least a few companies are making a lot of money selling that information to potential employers. Without getting into whether this is legal, a good idea, or if the information about you being conveyed without your knowledge is accurate, the fact it’s happening can’t be denied. While society as a whole sorts out the legalities and ethics of wide area data mining, it might be a good idea to take a look at your social media profiles and think about the message they might be sending to potential employers and take control of your public image. With a little work you can make your public image much more appealing to prospective employers. While you can’t control what data mining companies might be collecting about you, you can control what potential employers see on your public profiles. Today we’re going to pretend we’re your personal PR pros and give you some ideas for brushing up your public image while you’re out looking for a job. Start by combing through your Facebook pictures and remove the cell phone party pictures, car accidents, any pictures of you smoking, along with anything that’s illegal, dangerous or politically extreme. Leave the family pictures, pets, outdoor adventures, or photos of volunteer activities. Next you’ll want to go through and clean up your comments and keep some of your more colorful friends from showing up on your in your public spaces. You don’t have to cut them off, but you do want to limit their ability to show up on your profile. It sometimes takes a bit of digging in the privacy settings to figure out the best configuration. Social media sites don’t make it easy to hide information. You can’t undo everything you’ve posted on social media sites, but you can balance it out with a weight of more thoughtful information and posts related to your career field and volunteer activities. If you don’t have any volunteer activities, then today is a good day to start. Volunteer activities always play well with potential employers, particularly if they’re related to community service, and they help cover gaps in employment. Volunteer on a local fire department, for instance. If you live in a rural area and are good with computers, you might be more of an asset than you realize, particularly in helping with grant applications. If you’re successful in helping a local fire department or other community organization get a grant or raise money, that’s an immediate gold star on your resume. Any volunteer activities helping animals are almost always well received. Spend a few days a week at the local animal shelter, post lots of pictures. Salacious? Maybe, but do you want the job or not? Other good volunteer opportunities would include Meals On Wheels, if you have a car and can afford the gas, or something like Habitat For Humanity if you can wield a hammer. Almost every state park needs volunteer helpers and there is a bonus if you get a uniform. Other bonus pictures worth having are joining a public speaking group like Toastmasters and get pictures of yourself in front of a crowd. You don’t need to turn your social media profiles into a personal commercial; you just want to minimize the negatives and promote the positives. Two factors will work in your favor: Consistency and time. Promote a consistent message, do it over a long time and before long the you a potential employer gets to know in an interview will be reflected in your social media presence and that’s the goal. Tags: career, empolyer, facebook, jobhunting, Jobseeker, twitter | Permalink. Social media tools, like Facebook, Twitter and LinkedIn, can be valuable resources in not only networking with people you already know, but also with expanding your network to others. The old adage about it’s not what you know, but who you know is alive and well in the world of work, so use social media and your connections creatively to find and secure a job. Social media, though, also has dangers for the young professional. Savvy young professionals know there are social media guidelines that must be followed. For some, a personal page on a social media site, a blog or a website may include information that isn’t necessarily appropriate for the workplace. Before interviewing, go through and analyze your online presence to determine whether a manager or recruiter would be accepting of the comments and images you have posted. If it doesn’t pass the “gut check,” then it’s best to remove that content. You may think about searching for your name (and variations of it) on Google to ensure everything online reflects favorably upon the image you are trying to project to prospective employers. If you find content you’re not particularly proud of, develop a plan to mitigate the problems this content may cause. For example, you may ask the person who posted the objectionable content to remove it because you are searching for a job. If that doesn’t work, figure out how you will explain this content should a prospective employer uncover it. Some employers run these same Google searches as a part of their due diligence in the hiring process, so don’t be surprised if you are asked. It’s best to be proactive and prepared for such a situation. Once you’re hired, there are other social media guidelines to adhere to. Keep in mind that your employer may have a social media policy in place. Some companies have very stringent social media guidelines and restrict or block access to sites like Facebook and Twitter. Others are more relaxed in their approaches to social media usage in the workplace. It is your responsibility to know your employer’s policy and abide by it. Now is a good time to again review what online information is out there about you. You are a reflection upon the company for which you work, so try to remove any subjective content you find. You may also want to check your privacy settings on Facebook. Determine who can see you photos, your wall and your posts. Consider untagging yourself from any photos that don’t project a professional image. Tags: facebook, linkedin, Professionals, Professionlas, socialmedia, twitter | Permalink.